Quad Cities Video Production | Why Yes, Quality DOES Matter! 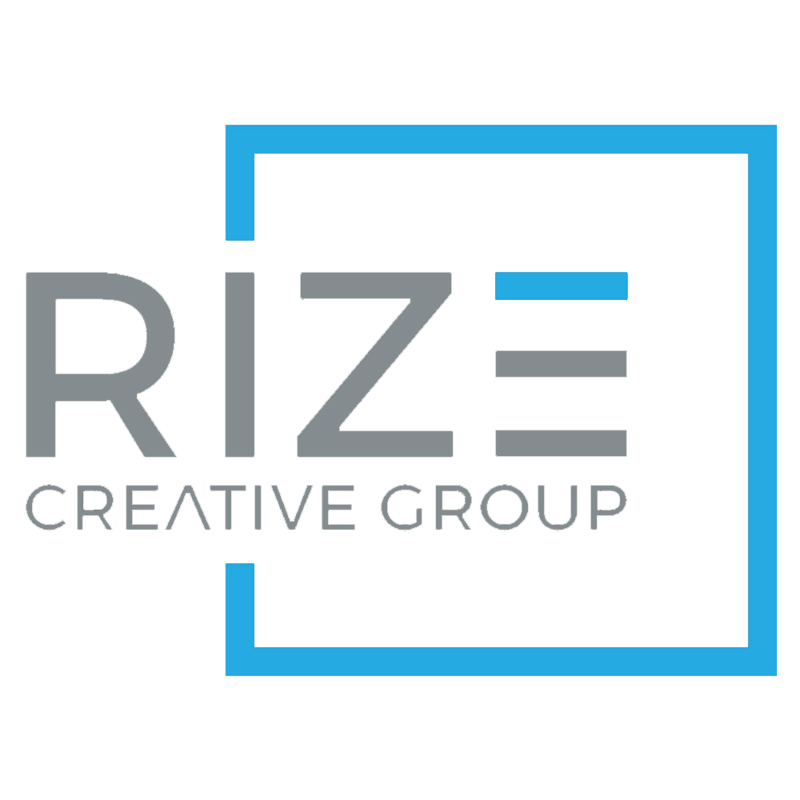 – Quad Cities Video Production | Rize Creative Group Inc.
Why Yes, Quality DOES Matter! Whether you’re running a mom-and-pop shop or are the marketing manager of a Fortune 500 company; what you put out into the world is how people will see your brand. Afterall, perception is reality. They will make snap judgments based on the face you put forward because in this world of first impressions, you may not get a second chance to tell a customer why he or she should choose your product or service. So, yes, quality matters. Sure, you can do some great things with your cell phone camera and your friend’s video editing software but that isn’t your forte and that will be reflected in the end result. Quality isn’t simply the video content itself, although that is certainly a priority; it is the production of a video that will make or break whether your customer chooses to stay and hear your message. We’ve all seen those commercials on local television or on the Internet where the footage is a bit grainy, maybe you can see the shadow of a boom, maybe the sound isn’t synched correctly. Let’s be honest, you wonder if that advertiser shot that spot in his cousin’s basement with a 1990s camcorder. You are not interested in sticking around to hear that message unless maybe you know the person who owns the business. In the case of the Internet, it isn’t only the video that has to grab the viewer’s attention but the thumbnail of the video. If the thumbnail doesn’t shout out to them that the content is something they are interested in learning more about, they will scroll right by. This applies to all social media platforms but also searches and youtube. 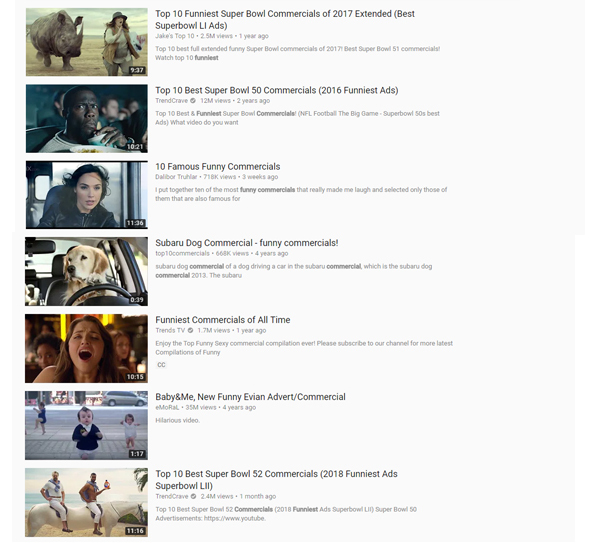 When you search Google or Youtube for anything, you basically get a list of thumbnails to look at. If the thumbnail does its job and you get a click, your video has to play immediately – no buffering or stalling – if that video isn’t formatted for smooth playback, you’ve lost a viewer. Different sites and locations have different size limitations and formatting requirements. Don’t get stuck on social media with a beautiful video that no one will see because it doesn’t meet the correct playback specifications. Which thumbnails stand out the most for you? Viewer expectations: Upwards of 105.1 million Americans watch videos online each day. 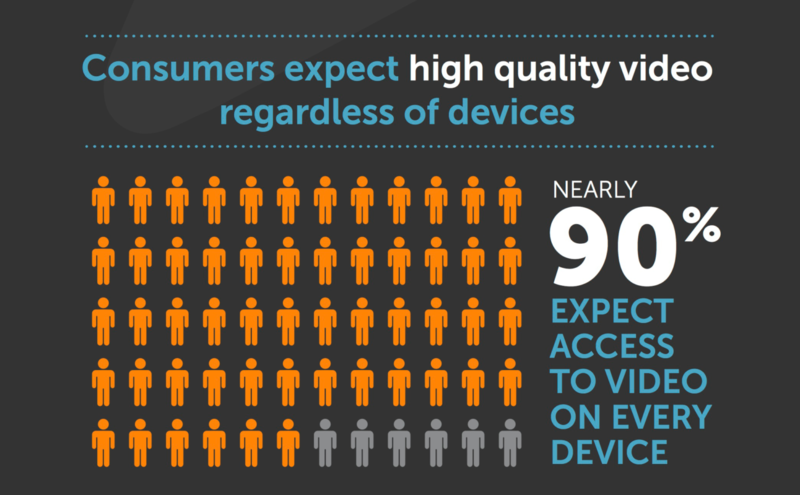 As more television viewers switch to the web or plug their computers into their televisions, they expect higher quality video online. Shooting better video helps ensure the longevity and value of your video assets. Sophisticated viewing devices: Your customers are increasingly using mobile devices to view content on the go and the technology of those devices advances almost daily. In some cases, your tablet may have a better picture quality than your 62-inch flat screen TV. Better production quality combined with fast data networks gives you a more sophisticated video that will intrigue your customers. Better user experience: A well-lit, well-edited video is more appealing to watch than a homemade clip. And your sound must be fantastic. You may be able to get by with iffy visuals but if your sound is poor or hard to hear, your message will not reach customer's ears. Remember, thousands of videos are uploaded every second, making the viewing experience as easy on the eyes and ears as possible should be a priority. Your competition is out there: Yes, your mom told you that just because everyone is doing it doesn’t mean you have to, but in this case, your mom is wrong. A full 87 percent of online marketers use video content. More video content is uploaded in 30 days than the major U.S. television networks have created in 30 years. And marketers who use video grow revenue 49 percent faster than non-video users. If your competitors are reaching these millions of eyes; your message should be there as well. Brand reputation: We touched on this earlier but you ensure your email marketing and printed materials match your website and carry a message that you want to put in front of customers. Your video content should do the same thing. It takes time to plan, script, shoot, and edit a video and time is money. Let us make sure your videos look and sound professional to enhance your brand reputation and show your customers you pay attention to detail. Detail translates to dollars: Sixty-four percent of consumers make purchases after watching branded social videos. Compelling content: Like we said, content can make or break a video but production values can enhance or detract from that core content. A production company doesn’t just make the end product look good. We help craft the content of your video to ensure it is focused, informative, and impactful. Better content equals more customers – in fact, 51 percent of marketing professionals worldwide name video as the type of content with the best return on investment (ROI). With 46 percent of viewers acting after seeing an ad, it looks like they’re right. Now, truth be told, it isn’t ALWAYS the case that quality will sell your product or service but it definitely matters. In most cases, story will trump quality, but together, they can lead to a huge ROI. It truly depends on the look and feel of your brand and what you’re selling. Can you connect with a cell phone video? Of course. But with the right tools and expertise behind the same production, you will raise the perceived value of that story, product, or service and that translates to feet in the door, clicks on the site, or rings on the phone.